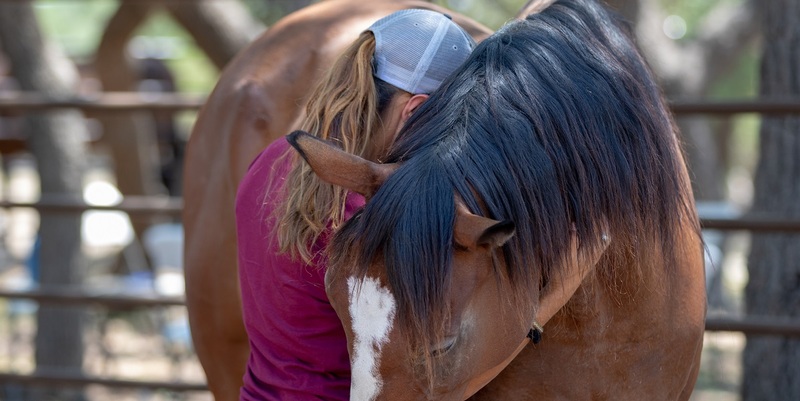 Make equine therapy your first choice, not a last resort. . Experience relationships, renewal, relaxation, or re-discovery with our beautiful herd. 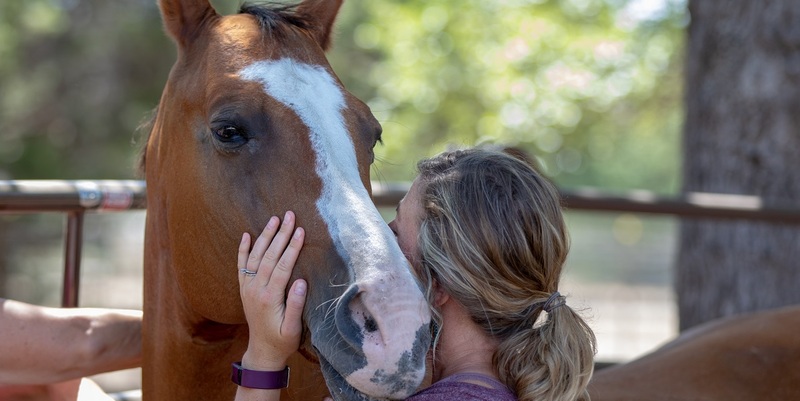 Mindfulness, empowerment, and connection at a beautiful private horse ranch. Enlightening, memorable, and powerful- this will change your teams and the way you lead. Kelly Jones is a woman of high integrity. I am a therapist LCSW who has worked with Kelly directly with my clients. 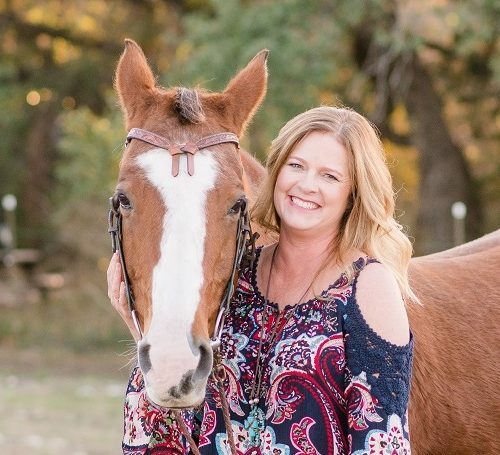 She is excellent at what she does and her care for the horses is unmatched. Kelly by far is one of my most favorite people I have ever been blessed to meet and know. A few years back my wife & I decided to take riding lessons. After visiting several ranches & being rather non-impressed, we lucked out by finding Kelly’s place and knew it was the right place! 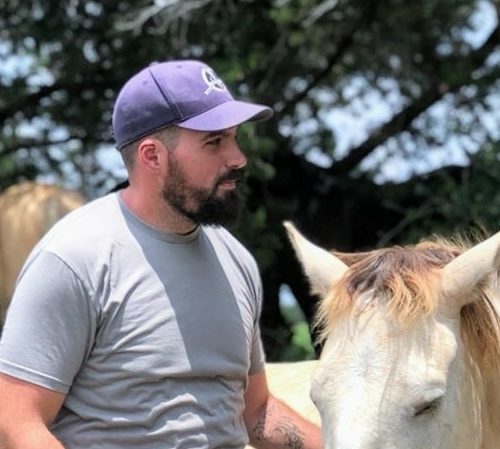 Not only were we as clients treated to an excellent intro to horses, it was great to see that it was the right place for all the horses there too! The horses were in small happy groups in each paddock with shade and sun (because they are a herd animal), not put away in lonely stalls by themselves. 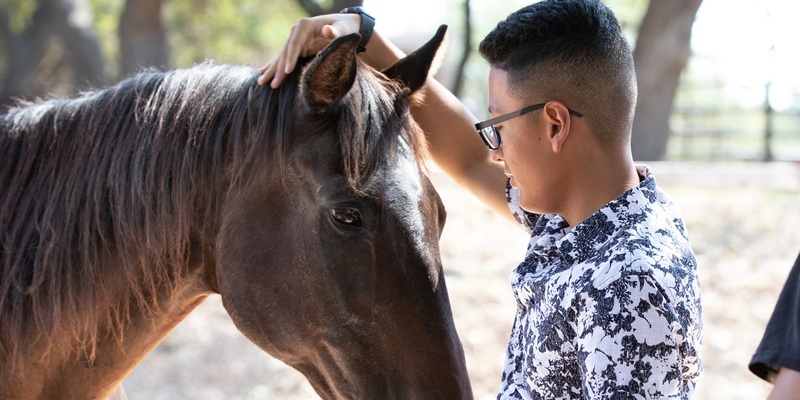 Kelly taught us to ride English first to enhance our connection with the horse & develop our skills. 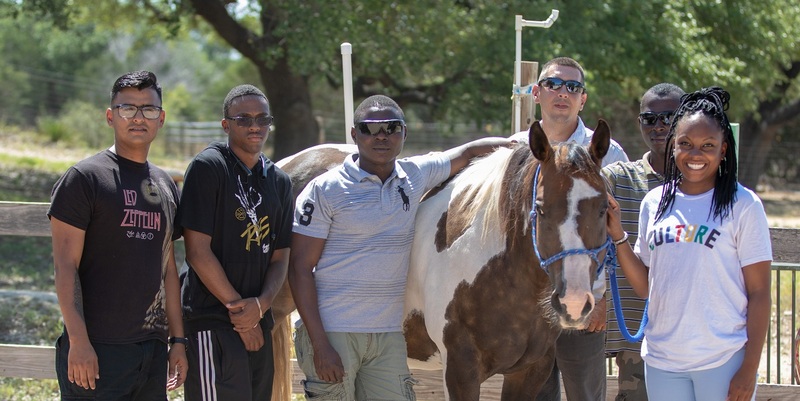 We learned how to connect with the horses not just physical riding position, but also through grooming / lunging which establishes the emotional/psychological connection that make horses so awesome.We highly recommend Kelly for whatever horse-related services y’all need! What a wonderful place to find you inner peace. 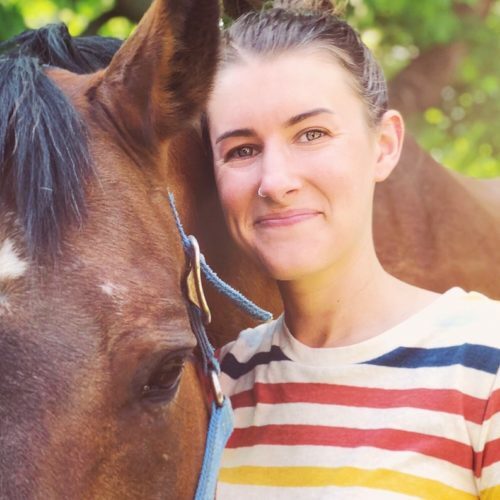 Kelly and her horses are amazing and help to show you your true self. This is an awesome place that is run by amazing people. The owner is incredibly gifted and talented. Plus, It’s so close to Leander, Cedar Park and Liberty Hill. What a gem! 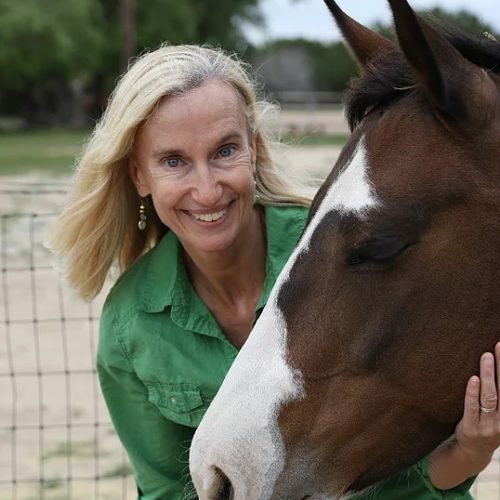 I had the pleasure of visiting South Wind Equestrian Center at sunrise one morning. The horses were gorgeous there, with the sun rays shining through the trees. So peaceful. I think "peaceful" is the keyword that sums up the medicine I felt in the presence of the place. What a joy spending time in nature, with these magnificent animals, getting to know my Nature.Additionally, I met directly with the owner, Kelly Jones, for a documentary video project by ARISE Video Studio. 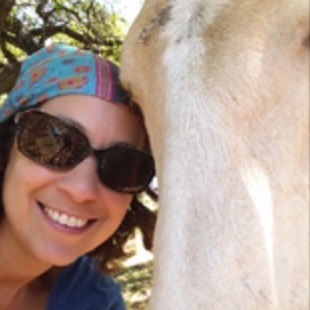 She is a wonderful person, working to bring sacred ceremony and holistic therapy to woman, with the help of horses. What an exciting offering. That is is the kind of Austin livin' that inspires me. What a wonderful day I had yesterday at the South Wind Equestrian Center. Beautiful place. I loved taking the time out to learn, and spend time with other like-minded women. The horses was very special. The combination of art, mindfulness, relaxation and horses - made it the most amazing and peaceful experience. Kelly and Christine were amazing and really helpful. I will definitely be coming back for more! Absolutely the best decision we have ever made. 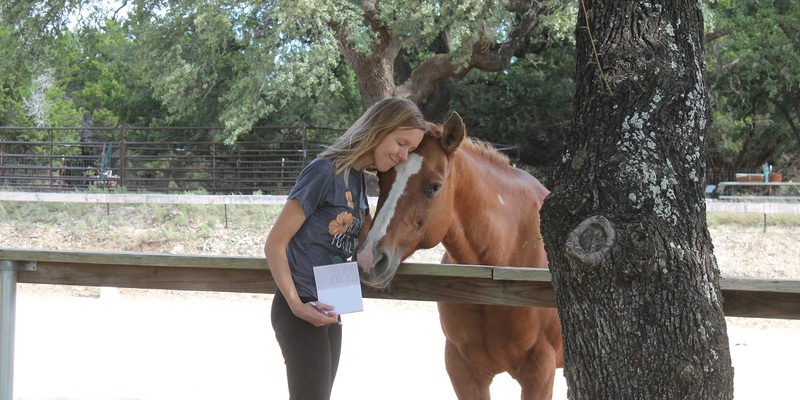 We love South Wind Equestrian Center and look forward to many more adventures ahead. Such a peaceful place & very thoughtfully run. Kelly is wonderful! Such a great place. My daughter loves it!!!! Kelly is awesome with her and she has learned so much. Powerful and life changing – the highlight of my year, thank you.